Our Foundation Plan is a complete financial plan that includes all of the applicable topics below. 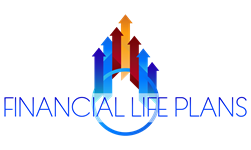 The Life Plan consists of the same elements as The Foundation Plan, but includes ongoing execution of implemented strategies. We will continue to monitor and adapt your strategies based on the fluctuations of the market and your unique needs. Financial planning services may be provided separately from, or in combination with investment management services.